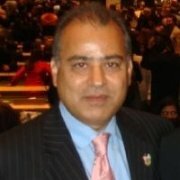 Faiq A. Hameedi, M.D., M.P.H. The Anxiety and Depression Center of Scarsdale is a unique, private psychiatry practice located in lower Westchester County, New York and the Bronx. Dr. Faiq A. Hameedi is a Board Certified Psychiatrist who specializes in the discreet treatment of individuals experiencing mental illness and psychiatric symptoms. Dr. Hameedi understands that each individual is unique and requires a custom-tailored approach to address that person’s needs. Our goal at the Anxiety and Depression Center of Scarsdale is to provide a friendly and supportive environment so that our patients can explore their emotional needs and overcome barriers which limit their potential. Dr. Hameedi has experience dealing with a wide variety of pathologies. We are committed to helping people in a confidential and comfortable setting. We work with clients throughout Westchester, Bronx, and neighboring counties. We take several insurance plans and work with clients to allow for use of their out of network insurance policies to gain reimbursement allowed by their individual plan. Anxiety and Depression Medical of Scarsdale, PLLC.